We believe nutritious food is a right, not a privilege. 20% of people in the United States live in food insecurity without reliable access to enough affordable, nutritious food. We want to change that. That's why every Harvest we deliver closes gaps in food access by supporting our reduced-cost Produce in a SNAP Markets & donations to local hunger-solving organizations. To date, we have provided access to over 200,000 pounds of affordable produce & donated over 650,000 pounds more to our donation partners! Over the last year, we've witnessed some real food access magic at our Produce in a SNAP Markets. In addition to selling over 20,000 bags of healthy fruits & veggies, we've seen Elementary school students holding pumpkins for the first time. Kids choosing grapes over candy bars. Young families walking away with a bag of healthy produce & the first mango they'd ever seen. In a country where 25.3 million live in food deserts & 20% live in food insecurity, these moments are more than nice anecdotes. They're real signs that we're successfully closing gaps in access to healthy food by getting fresh, affordable produce into the hands of underserved families & individuals living in these areas. 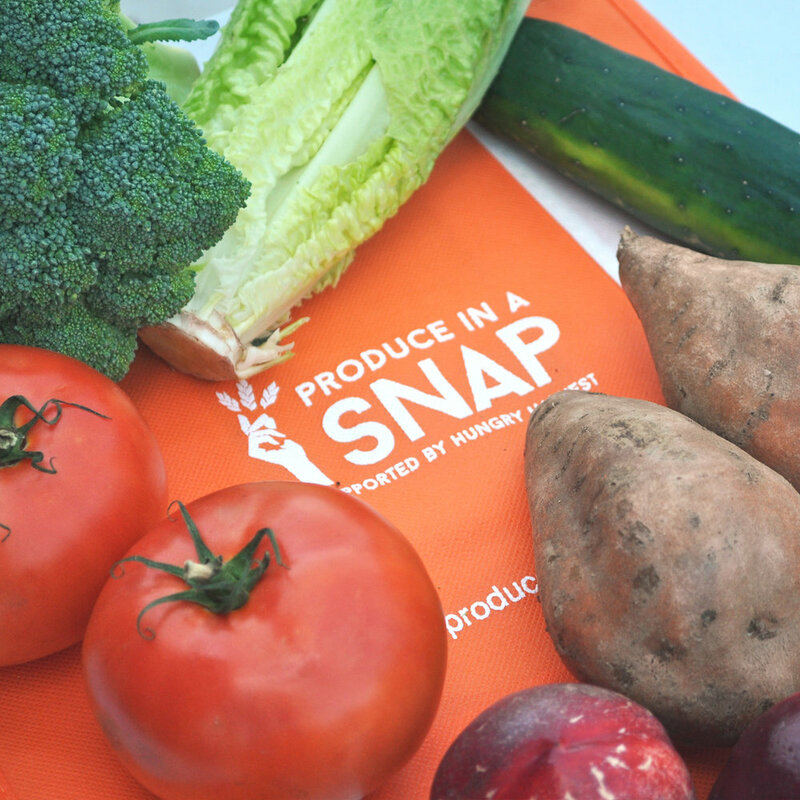 It is the aim of Produce in a SNAP to bring dignity, choice & community back to an affordable shopping experience by empowering people who are looking for fair access to fresh food. Our markets, run in partnership with local public schools & community centers, feature a variety of fruits & veggies on a weekly basis that are roughly 50% less expensive than grocery store prices. We proudly accept SNAP/EBT benefits.